Oh, mountain cedar, how we loathe you. Your distinctive bark peels and sheds like an unwelcome snake. Your flimsy evergreen branches populate our hills, backyards, and areas of limestone more so than almost any other tree. You are like a pest that won’t go away. Your clouds of pollen, when released, cause noses to run in the masses. To those allergic, Mountain Cedar, you are a sneaky menace who arrives each November / December, like an unwanted guest difficult to manage. This picture was captured outside of Austin, TX. 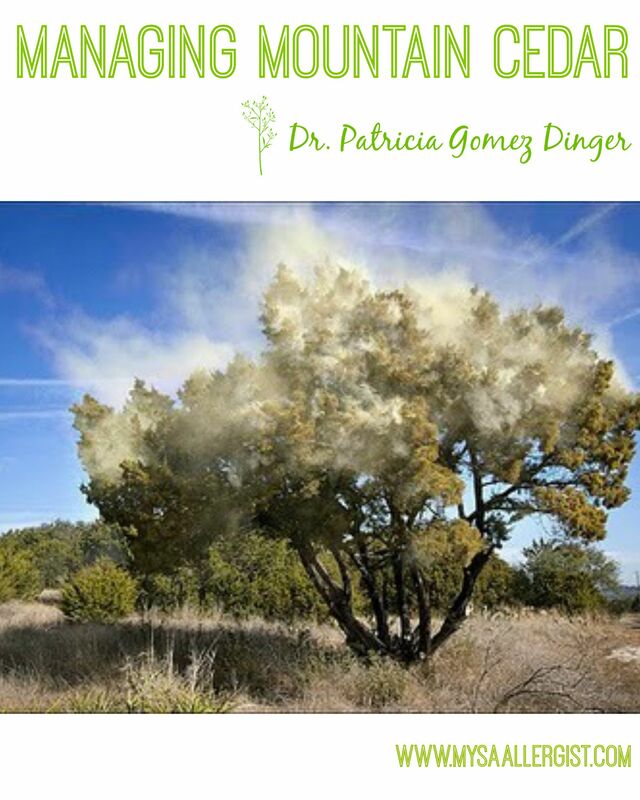 Notice the cloud of pollen coming off the mountain cedar tree! My own experience with mountain cedar is an interesting one, but not uncommon from the patients I have treated. Growing up along the Gulf Coast of Texas I never heard of mountain cedar. I was first introduced to this tree when I moved to San Antonio for my Internal Medicine Residency. I was not allergic to it at that time. However, after moving to California for two years to complete my sub-specialty training in Allergy and Immunology, I returned to San Antonio to a very unwelcome surprise. 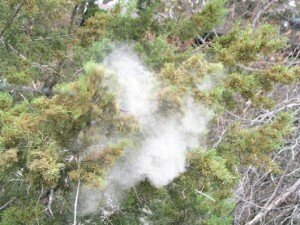 That’s when mountain cedar pulled the wool – or I should say pollen – right over my eyes! My first winter back, I found myself sneezing and itching, and my nose dripping like a facet turned on full. In those four years of residency I must have become sensitized to mountain cedar and that break of two years made it that much worse when I returned! Here I was a new doctor treating patients for their allergies and I couldn’t let a tissue box out of sight due to my own allergy! That’s when I began my own treatment for mountain cedar. It is true, it takes roughly two years for someone to develop an allergy to mountain cedar. So, you may not notice it in your babies until after the age of two. That is also why you see so many San Antonio area transplants complaining of a mysterious cold, virus, or what we natives refer to as “cedar fever” after two years or so having moved here. 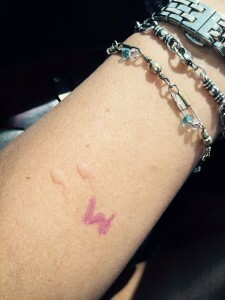 A mountain cedar allergy can also hit you like it did me – having grown up allergy-free, moved away, only to return to a newfound battle with it. Out of all my patients tested for allergies, nearly half that come into my office for testing are allergic to mountain cedar. It is that common and rising. In 2014, 41-percent of our new patients at Advanced Allergy, Asthma, and Immunology tested positive for mountain cedar. So far in 2014, that statistic is already at 42-percent. But we didn’t need numbers to tell us what we already know. You will hear the complaints and see the absenteeism caused by mountain cedar allergy symptoms each November through February. Due to these high numbers and the fact that 2015 is already one of the more severe years for seasonal allergies in recent years, I want to explain more about the mountain cedar allergy, its diagnosis and management. 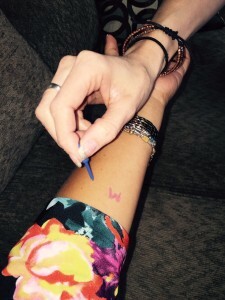 We use a skin test of tiny pricks, usually on the back, to determine allergens, including a mountain cedar allergy. 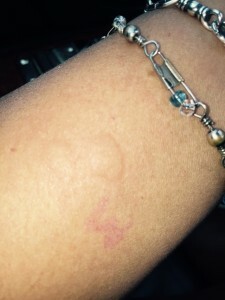 A positive mountain cedar test will usually result in raised bumps. Sometimes a result may cause me to want to re-test or do a blood test for confirmation. But most of the time, a positive result like you see here will come back after a short 20 minute wait period. So how do we best manage this menace known as mountain cedar? First, avoidance. But let’s be real. It’s pretty hard to avoid going outside during peak hours during an allergen season that typically runs from Thanksgiving to Valentines Day! You can wash your linens in hot water often, keep your windows closed, be sure to shower at night, and bathe your pets more frequently. All of this can help. You can also try over the counter medications – antihistamines, nasal rinses, eye drops. But once people seek me out, they usually have tried all of the above and still feel miserable. So that’s when we increase treatment to the next level: prescription allergy medicine combined with saline nasal rinses and an oral antihistimine mentioned above. Two medicines I prescribe often to treat mountain cedar and I think works well are Qnasl and Dymista. QNasl was specifically tested in San Antonio due to the high levels of the mountain cedar pollen we see here! If you still aren’t getting much relief, we step up our game again, attacking the mountain cedar with either allergy shots or sublingual drops. Both treatments require that you give your body time to build up a resistance, before, the mountain cedar peaks, for the best possible results. Let me explain how the two higher-level treatments differ. I will most likely prescribe allergy shots for someone who tests positive for many allergens including mountain cedar. Whenever we do a skin test, we test for grasses, mold, pet dander, mountain cedar – the whole nine yards. Often, people with a mountain cedar allergy will also find themselves allergic to mold or dust mite. You begin getting a weekly allergy shot with a small dose, gradually building on that dose but administering the shot monthly. Shots are administered in my office and you must wait a short period to watch for any sign of a serious allergic reaction. Allergy shots are often covered by most insurance companies. Sublingual drops are oral drops that a patient can administer themselves at home. You place the drops under your tongue. It is convenient because you do not have to travel to my office weekly or monthly. However, there is a catch. First, sublingual drops have to be taken daily, gradually building to your prescribed highest dose. I typically start my patients on drops in October. Second, most insurance companies do not currently cover sublingual drops. Here’s another thing: Not all allergy drops are created equally. This is a big deal and why it is so important to see a Board Certified Allergist for allergy shots or drops. At Advanced Allergy, my team customizes your allergy drops based on your specific allergens. As a Board Certified Allergist, I use my years of speciality training to decipher how much of each allergen – no more, no less – is needed to deliver my patient the desired results. Often, I have treated patients who come to me and say, “Oh, I’ve tried allergy drops already, they didn’t work”. What do I determine? That patient simply wasn’t being treated with the right concentration of allergy drops. Or, the chosen allergens were not customized for the individual patient. Like when you bake a cake, if you don’t use the correct amount of ingredients added at the right time, it may not work. You get a lopsided or inedible cake. It is important to me, as well, that administering the drops is convenient and easy for my patients. My team gives allergy drop patients a chart to help them keep track of dosing. A patient at Advanced Allergy, Christina, will begin her second year of sublingual drops for mountain cedar, next month. 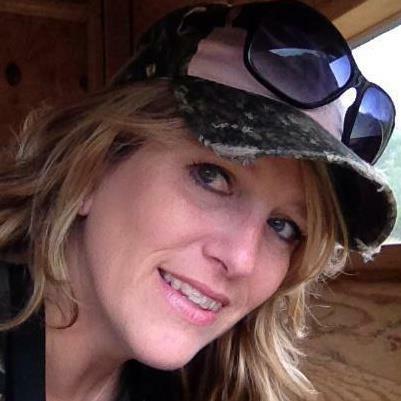 Christina is an avid hunter who spends a good deal of the prime mountain cedar season outside in the hill country. 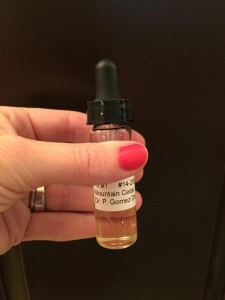 “Before the drops I would be sick a good part of November through February with puffy irritated eyes, lots of sneezing and full-blown upper respiratory infections,” says Christina. 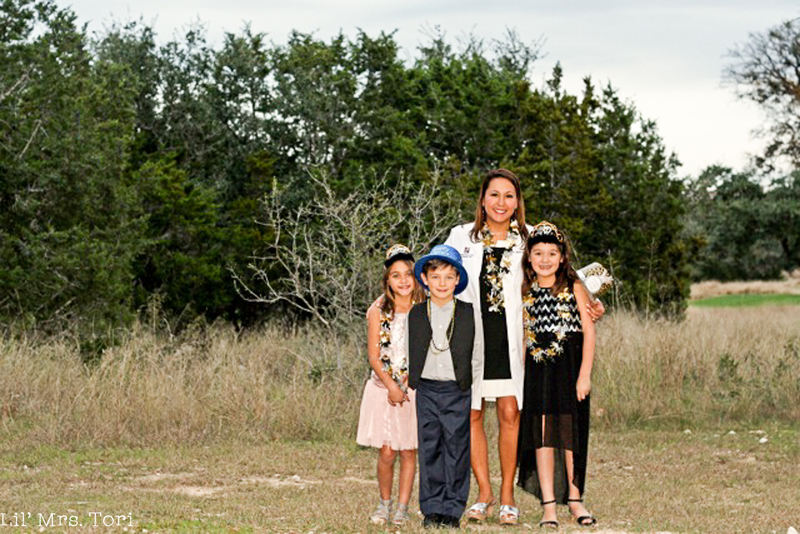 “After the drops, my husband and I could hardly believe I didn’t get sick at all during Mountain Cedar season, even among the exploding pollen,” Christina told me. 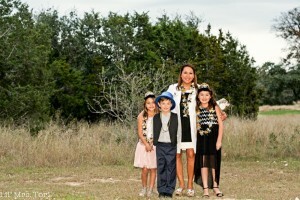 My kids and I wishing our patients a Happy (and healthy!) New Year standing in front of mountain cedar trees! In the end, the key to managing mountain cedar is to be proactive. This starts with proper testing by a Board Certified Allergist. Once you have that mountain cedar allergy confirmed, it is all about allowing your body to build up a resistance to it before the season hits its peak. What does this mean for you? Begin thinking about mountain cedar in August and September. Begin taking your medicine. Begin your shots or drops (drops starting in Oct.). Begin with the end in mind and you will overcome this menace we call mountain cedar, because you don’t have to be miserable!